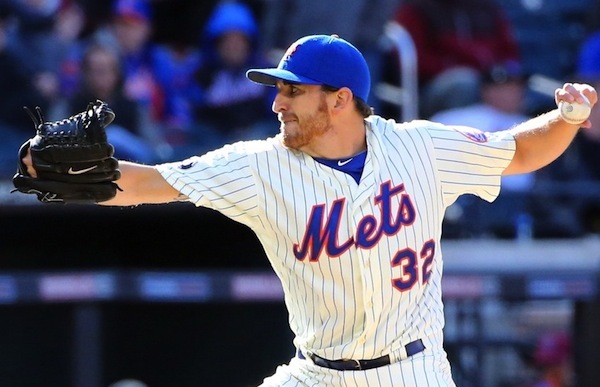 Once the Opening Day starter for the Washington Nationals, John Lannan now makes his living as the second lefty out of the bullpen for the New York Mets. Lannan, who grew up in Long Beach, N.Y. and attended Chaminade High School, made his debut for the Mets on Monday against his former team. After spending six seasons in Washington, Lannan spent last season in Philadelphia before signing with New York in the off-season. He’s made his way around the NL East. On Monday, he let up a two-run homer, and one walk in less then one inning of work. It will take some time to adjust to his bullpen role. “If there’s a need for a second lefty out the bullpen then you gotta check your ego at the door and just realize that’s what the team needs,” he told the The Star-Ledger last week. Lannan hasn’t given up on the possibility of being a starter again one day. With the way the Mets bullpen performed in a loss on Monday, there should be ample opportunity to shine in different situations. Whether he starts in Flushing or not, he could be a big help to a weak point on the Mets roster.